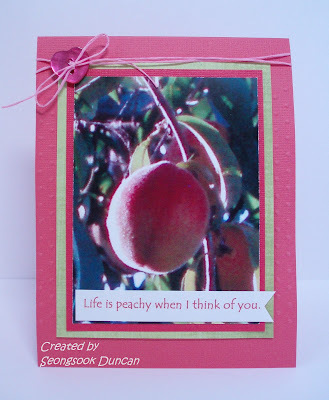 I made this card for a challenge at the Create with TLC. This image is from Paulette of the Create with TLC. It is originally a photo that she turned into a digital stamp. 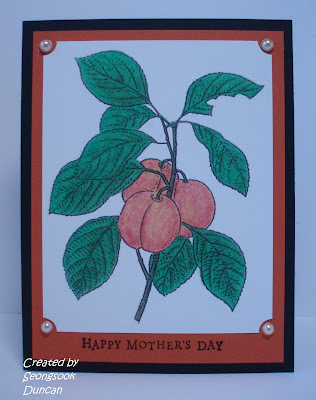 Although it is supposed to be a plum, I colored it as a peach based on my card below. I made it a while ago with a photo that I taken when David and I went to picking peaches. The sentiment was from David, my husband. I thought it could be a nice Mother's Day card, too. My mother passed away when I was 14 years old so I can't give a crad to my Mom however, I like to make Mother's Day cards for my friends. I colored the image with Prisma water color pencils. Only for leaves, I finished with a copic marker. I used SU corner punch and added pearls. Happy Mother's Day rubber stamp is from Hero Arts. Just peachy... sorry I couldn't help myself! 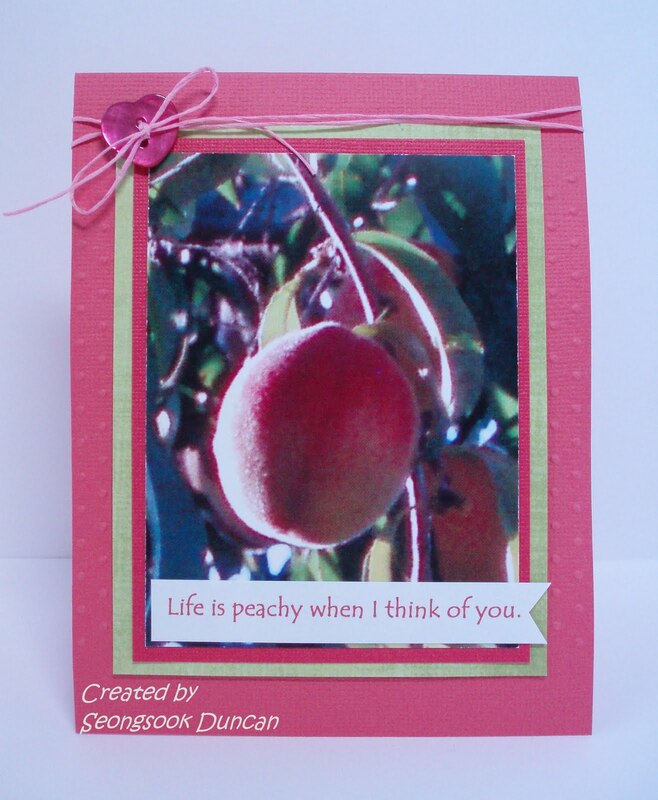 Love your card, it's perfect in every way! Both of these look good enough to eat! You are so talented. I just love all of your cards.